When looking for a new home loan or refinancing your existing mortgage in Buffalo NY, Artisan Mortgage Company will work with you to assist you in securing a loan that best suits your financial needs. With over 20 years of experience, our mortgage brokers provide refinancing options and home loan programs in Buffalo, NY including FHA, VA, bad credit, construction and equity home loans throughout Erie County and nearby cities of Cheektowaga, Tonawanda, West Seneca, Lackawanna, Kenmore and Depew. Call our experienced Buffalo Mortgage Brokers today to learn more why people from around this area are turning to them for low rates and great products. Dial 1-800-499-0141 to talk to our knowledgeable loan officer today, prequalify for a mortgage or fill out the convenient rate quote form. Takes 10 seconds. No Obligation. It’s no wonder why it is currently the second most populous city in New York! City attracts many tourists and new residents year round. Boasting a strong economy with an emphasis on the health care and education industries, it is a great place for a person of any age to consider home. If you’re a first-time homebuyer in Buffalo, NY, or just someone in need of a low down payment, both FHA and VA loans offer real advantages over Conventional loans. We have many popular programs for first time home buyers in this area. Contact the loan consultant to find out if you qualify for this program. Is this a dream home? Is this a starter house that you plan to live in only two to three years? Will there be a possible relocation within the next five years? Share your answers with us, and we’ll get you started on the program that fits you and your lifestyle. Our loan officers will also help get the financing you need so that you can have that dream home you always wanted. We hope that you will contact us so that we may understand your unique needs and then present you with options tailored to meet those needs. Financing for needs such as college for your child, buying a new car, or paying off old hospital bills. 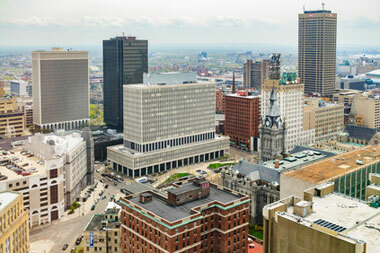 We make it easy to capitalize on your house's equity with our Home Equity Loan in Buffalo NY and lines of credit. A home equity loan is a fixed-rate and fixed-payment loan based on the available equity in your house. You get your money all at once and then pay it back in predictable, fixed monthly payments. Artisan's team of financial professionals aggressively shops the market for every borrower. We take advantage of our strong relationships with a multitude of loan resources. We use the advanced software in the industry, our high volume allows us to offer the best rates, and our specialists take personal responsibility for their customers. For homeowners who want to get the most house for the lowest initial payment, we offer a variety of adjustable-rate loans programs. Monthly payments on ARMs typically adjust every six months or once a year based on changes to a financial index, such as the one-year Treasury Security rate. Unlike traditional fixed-rate loans, FHA loan in Buffalo NY offer lower down payments, lower interest rates, and potential savings from tax credits. The FHA loan lending specialists at Artisan Mortgage can help determine whether you may qualify for an Federal Housing Administration-insured loan. You can choose from many options including 5-year FHA ARM loans and 15-year FHA mortgages. Call any of our branch offices and ask for a consultant. Our folks will be happy to help you and answer any questions. If you are in the market to buy or refinance a house, we will help to simplify the mortgage process to make it easier so you can enjoy that new home sooner. We will work with you to find ways to lower your closing costs and make this process easy so you can enjoy the excitement of buying, refinancing or building your perfect house. Are bills weighing you down? Climb out of debt and simplify your life by consolidating your high interest credit card bills, personal loans, and other liabilities into one lower, manageable payment! When you apply for a mortgage or refinancing at any of our convenient locations, you talk directly with a officer who has the authority to make a decision quickly. There is no need to wait on approval from someone you've never met at a remote office in another state, a process that may take several days. It's important to select a program that will match the length of time you plan to remain in your house because the initial interest on your loan increases in proportion to the length of time the rate remains fixed. In the United States three credit bureaus monitor and maintain reports on over 200 million active consumers. This data base keeps a record of personal information and history so that lenders can determine your creditworthiness. The best score possible is 820, however only a very small percentage of the population actually achieves this score. Avoiding negative items on your report won’t necessarily give you maximum points. From Botanical Gardens and art galleries to numerous festivals and the famous Niagara Falls, it is a beautiful city full of culture and character. The home values have risen by 17.8% in 2017 and the median value is $81,482. Features fixed rate, conventional mortgages with low down payment requirements, relaxed qualification guidelines, and reasonable interest rates. The program is open to anyone whose income does not exceed the maximum level. For many qualified borrowers some of the most popular refinancing options are Home Affordable Refinancing Program (HARP), FHA and VA Streamline. Our experienced professionals specialize in creating innovative solutions whether you need immediate approval on a purchase, refinance or access to the equity in your house. We hope you will find our website convenient and helpful so please call if you have any questions regarding the information provided here. A home equity line of credit is a revolving, variable rate line based on the available equity in your house. Call us at 1-800-499-0141 today or fill out form to review our loan rates and programs, request time with a loan officer, prequalify for a mortgage and much more! Artisan Mortgage Company is a full service mortgage broker providing a variety of home loans to Buffalo NY residents that includes fixed and adjustable rates, FHA, VA, home improvement loan and other affordable lending options throughout nearby cities of Tonawanda, Cheektowaga, Kenmore, Lackawanna, West Seneca, Depew.